How Much Compensation Can I Claim For A Death and Fatal Accident at Work? If you have suffered through the death of a loved one or family member due to a workplace accident, you could be entitled to claim compensation if the accident was not the fault of your loved one. However, this process can be difficult and complex, especially considering the emotional and financial strain the accident itself is likely to have placed upon you. If you want to make a fatal accident at work compensation claim, this guide will introduce you to many of the considerations and issues involved in making a claim. It will give you the information you need to make an informed decision about your claim and provide advice concerning how to proceed. A guide to claiming for a fatal accident at work. What is a fatal accident at work? Claiming for a fatal accident at work caused by a fall. Claiming for a fatal accident at work caused by electrocution. Claiming for a fatal accident at work caused by being struck by an object. Other common causes of fatal accidents at work. The UK’s Top 9 Most dangerous jobs. Fatal accidents at work facts and statistics. What to do if you have suffered the loss of a loved one due to a fatal accident at work. Who can claim for a fatal accident at work? What can be claimed for after a fatal accident at work? No win no fee fatal accident at work claims. 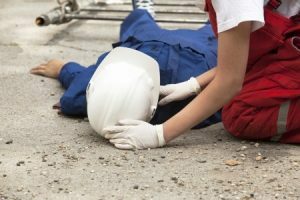 How much can I claim for a fatal accident at work? How to start a fatal accident at work claim. Why choose us as your claims service for a fatal accident at work claim? This guide will provide you with the information you need to have in order to make an informed decision concerning your fatal accident at work claim. This includes information such as outlining general context to your claim, such as common causes of fatal accidents at work, as well as potential issues that could come about as a result of your fatal accident compensation claim. However, if you find yourself requiring more information than is provided by this fatal accident claims guide, please do not hesitate to contact us. If you do not have a great deal of experience working in the British Legal System, you may be unaware of how fatal accidents at work are handled and the classification system used. death of one or more of those who are employed there. As a result of this classification, any fatal accident at work claim is necessarily a work accident claim, rather than personal injury claim. This does not include those accidents which result in the death of a member of the public that happens at a place of employment and, as such, are exclusively dealt with by the Health and Safety Executive in the United Kingdom. These accidents can result from falling, electrocution or even being struck by an object from a height. They are particularly common in jobs that involve manual labour or practical skills, such as electrical engineering or construction. One of the most common causes of fatal accidents at work is slipping or falling over, particularly slips and falls that result in injury to the head. These accidents are common in both manual and non-manual labour, mainly due to the omnipresent danger that slipping and falling represent, although it may be more common in manual labour. For example, a fatal fall at work could occur as the result of a fall from scaffolding after it was improperly covered during a storm. However, a fatal accident caused by a fall could equally occur as the result of slipping on a wet floor in an office building and suffering from a serious head injury. In addition to seeking medical assistance, legal assistance after such an accident can be hugely helpful. Another common cause of fatal accidents at work (particularly in practical professions but also in many other jobs) is electrocution. These fatal accidents can be considered to be commonplace due to the ubiquity of electrical power supplies in modern buildings and the inherent danger that comes with working with such power. However, fatal accidents at work caused by electrocution most commonly affect electricians and could be considered the fault of the employer, especially in cases where the risks of the particular job were not adequately explained or where proper tools or training was not provided to the employee in question. For example, if the electrician was provided with improper tools to complete the job they were assigned – such as inadequate safety equipment or the wrong tools – this could be considered negligence on behalf of the employer and, therefore, they could be considered liable for the fatal accident in question. A different but still common cause of fatal accidents at work is being struck by an object, particularly an object that has been dropped from a height. While this is particularly common in manual labour and large-scale construction sites; minimal danger does still exist within non-manual labour roles. Most commonly, fatal accidents at work caused by being struck by an object occur in manual workplace environments, particularly construction sites. This is due to the large number of different objects that are carried and used in construction, particularly scaffolding. In these situations, the height of the structures and the weather is an additional factor. For example, a fatal accident at work could occur at a construction site as the result of a severe head injury. This may come about through a tool or certain amount of material being dropped from scaffolding or being blown from its position if improperly secured during adverse weather. These objects could then fall onto the head of a worker below. However, this could also occur through an individual simply being hit with something someone else is carrying. Clarifying the issue of negligence in this matter will be important for any claim. Being struck by a vehicle – a common example of a work accident causing death, particularly in construction, but also in careers which necessitate vehicular travel, such as the courier industry. Becoming trapped by an object – another common cause of fatal work accidents, again particularly affecting those in construction. It is, however, not particularly common outside of the construction industry. Exposure – this typically occurs as a result of individuals conducting construction work at altitudes detrimental to their health but can also occur as a result of sun exposure (resulting in illness) or exposure to a toxic or dangerous material, such as asbestos. There are many different ways in which a fatal accident can happen in the workplace. However, this list should be regarded as a general observation of the most common causes rather than any sort of comprehensive information bank. Waste collection – around twenty waste disposal workers die each year in the UK. Making it on the most dangerous job in the country. Yet despite this, with a salary of less than £18,000, it is the lowest paid job on the list of top 10 most dangerous. Civil engineering – major civil construction projects expose civil engineers to a high risk of fatal accidents. Almost 20 civil engineers die each year, with being struck by some type of heavy machinery the most common cause of death. Electricians, plumbers and other fitters – installing electrical, gas and other infrastructure is a risky profession, each year and average of 26 fitters dies in the UK. Mechanics and vehicle repair workers – on average, 26 people working in the vehicle repair sector die each year in the UK. Joinery, decorating and painting – unsurprisingly, an average of 28 deaths occur each year in these professions, primarily caused by falling from a height. HGV drivers – a very high-risk occupation in the UK, with more than 40 HGV drivers being killed each year in road traffic accidents. Scaffolding and roofing – as we would expect from a profession that involves working at often extreme heights, deaths encountered in the scaffolding and roofing trades account for 29% of all work-related fatalities in the UK. Building and construction – the second most dangerous profession in the UK. Construction sites are dangerous places, as shown in the fact that over 100 people in the UK die each year working on them. Farming and agriculture – the single most dangerous occupation to work in in the UK. On average, almost 170 people die in the UK due to farming and agricultural accidents. The government body that deals with all work accidents (including, but by no means limited to, fatal work accidents) is the Health and Safety Executive, who additionally enforce health and safety standards passed into law. In regard to fatal work accidents, the Health and Safety Executive reported that only 144 fatal accidents occurred during the 2015-2016 period. They concluded that 26% of accidents are caused by falling from a height, while 19% are caused by a vehicle and only 10% of accidents were caused by object collision. This highlights how varied the different causes of fatal work accidents have become, especially when considering that it is the construction industry in which the majority of fatal work accidents occur. Knowing what to do after you have suffered the loss of a loved one after a fatal accident at work can be difficult and confusing. This is especially true if you are suffering emotionally or financially from said death. However, the process is actually simpler than you may think. Evidence in support of the accident – includes witness statements or even CCTV or camera phone footage. This evidence is needed in order to ensure that the occurrence of the accident itself cannot be called into question, especially as it is described in the claim you are making. Evidence in support of negligence – includes police reports or personal testimony. This evidence is needed to support your claim that the accident occurred as a result of negligence on behalf of another party, as negligence is required in order to prove liability for compensation. Evidence in support of costs/damages – includes any evidence supporting the various costs that you are claiming for, which will be described in detail later in this guide. Evidence of all three of these categories is fundamental to your fatal work accident claim and necessary if you want to receive the compensation that you deserve after the loss of a loved one. If you have trouble organising or gathering the evidence that you need, a Claims Service such as our company can provide you with assistance. Dependents of the deceased: given the highest priority with fatal work accident claims, as they depend on the income of the deceased and are most immediately affected by the accident. Non-dependent family members of the deceased: also of high priority but significantly less than dependents, as they are closely related to the deceased and are likely strongly affected but not dependent. The estate of the deceased able to make a fatal work accident claim if no family or dependents are claiming but this process is demonstrably more difficult and confusing. In all of the above categories, we recommend working with a legal team to ensure your claim is handled in the best possible manner. When you are considering whether to make a fatal accident at work compensation claim, one of the aspects that we have learned is most important to you as a claimant is the amount of potential compensation that you could receive. A vital aspect of how much compensation you receive as a result of your claim is what different costs and damages you attempt to claim as part of your compensation package. The majority of people who make a fatal accident at work claim believe that they can claim for only the most minimal of costs and damages incurred as a result of their loss. This typically includes any medical costs that may have been incurred during treatment of their loved one and possibly the cost of the funeral. General damages – includes damages difficult to measure exactly, especially emotional suffering as a result of the loss of your loved one. Special damages – includes damages that are more easily measured, such as loss of property stemming from the accident and loss of future income, particularly if you are a dependent of the deceased. Medical costs – includes any costs incurred before the death of your loved one, particularly any private healthcare. Funeral costs – includes costs directly related to organising the funeral for your loved one, such as the cost of a coffin and tombstone, as well as the costs of the funeral ceremony. As you can see from this list, there are many different costs and damages related to the loss of your loved one that you could claim. While the amount of compensation you receive does typically rely upon the exact circumstances of the accident, it is important to consider every kind of cost or expense. If you want the best chance of succeeding in your fatal work accident claim after the death of a loved one, you will need the support of a Claims Service to give you advice and take you through the process itself. However, issues can arise from this as the result of the legal fees that many Claims Services charge. Legal fees can devastate your finances, especially if they are charged against you before the resolution of your claim or regardless of whether you actually receive compensation. Our company wishes to avoid this kind of scenario, which is why we make a commitment to behaving in an ethically sound manner throughout our dealings with you. One way that we accomplish this is through our ‘No Win No Fee’ policy. This policy, also known as a conditional fee agreement, promises that – if you choose our company as your Claims Service – we will not charge you any legal fees before the end of your claim and only if your claim is successful. We truly care about those who need our services and our ‘No Win No Fee’ policy is the perfect illustration of this. You are probably interested in how much compensation for the death of a loved one you are entitled to receive. However, any given amount would have to be an estimation that is likely to be at least partially inaccurate, due to the inherently unique nature of every fatal accident claim. A more accurate fatal accident compensation amount can be arrived at through a detailed consultation session with our company. As you can see from this table, there is a great amount of variety in how each death compensation calculation. As such, you will need the support of a Claims Service to ensure you are receiving the compensation you deserve rather than being undervalued by the legal system. With all of the information that is provided by this guide, as well as any other sources you may have used, you may still be uncertain about the exact process of making a fatal work accident claim. As previously stated in the guide, the first step to making your claim will be collecting the evidence that you need to support your claim. This includes evidence justifying the circumstances of the accident as they are described in your claim, evidence supporting the occurrence of negligence on behalf of another party and evidence supporting the severity of the accident and its consequences. However, once you have gathered this evidence you will need support that is offered by a Claims Service. If you contact our company, we can provide you with a free consultation session regarding your compensation claim and give you our honest evaluation of its chances of success and how much compensation we believe you could receive. After this consultation, if you choose us to represent you as your Claims Service, we can additionally provide assistance in evidence gathering to further solidify your fatal work accident claim. This includes further fact-finding regarding your claim, such as investigating any possible CCTV footage of the fatal accident in question. Once you work with a Claims Service, you can trust them to handle all of the hard work. Our company is the best choice for your fatal work accident claim for a multitude of reasons. We can provide you with the strong and honest support that you will need to get through the claims process, as well as provide advice before the beginning of your claim, thanks to our long experience in the business and our free consultation session. We have at our disposal a team of legal experts who have spent years dealing with fatal work accident claims, whose experience in dealing with such claims places them in a perfect position to assist you in the process and to advise you on how you should proceed. Our position as an ethical company is demonstrated by our ‘No Win No Fee’ policy. This policy highlights our commitment to providing you with a premier service that always treats you with the respect to which you are entitled, whilst also getting you the best chance of receiving the compensation that you deserve. We can provide you with the advice and support that is vital to your claims process. It does not matter if you believe your claim has any chance of success, receiving a free consultation session from our company can provide the best possible start to your claim. You can contact us by calling 0800 073 8804, using the web chat function on this page or by using the contact form below and we can begin the process of getting you the compensation you deserve. How Much Compensation Can Be Claimed for Death? Find out the full amounts of compensation that you could claim for death. This NHS link is about coping with bereavement explains about help and support and what to do after a death. A very useful guide on accident at work compensation claims also call us for free advice.